Omnia is the first step towards Open Banking. It is an advanced technology for financial institutions that facilitates innovation, boosts revenues, rationalizes costs and creates a modern onmi-channel experience for customers while always maintaining strict levels of security. Front-end omni-channel, modern and integrated for external clients and internal users. It allows to integrate and unify any legacy system or external service in a single system in real time. 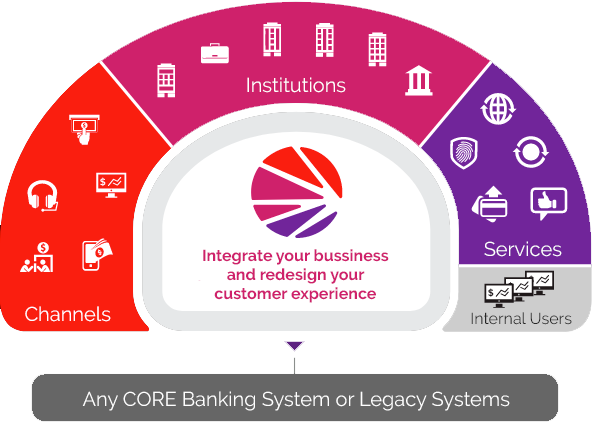 Applications that expand or replace the functionality of CORE or legacy systems.